Paper Pawz: Lawnscaping Challenge #115 - Sentiments! Happy Monday! 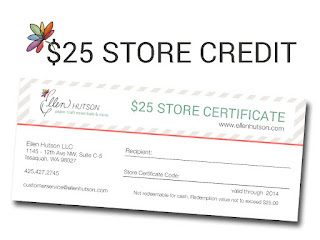 How many of you enjoyed World Cardmaking Day over the weekend?! I sure took advantage, great way to justify sneaking away and just playing! 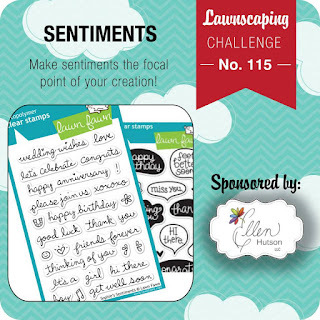 Welcome to a new week and a new Lawnscaping Challenge - Sentiments! 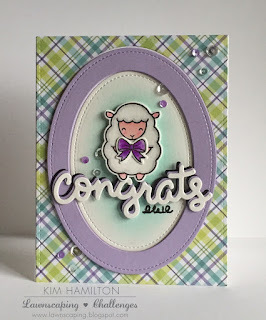 I love the Lawn Fawn scripty sentiment dies, so I decided to feature my new Congrats die and the Baaah Humbug set! To colour the "ewe" or sheep and bow I used my Zig Clean Color Brush Pens, I am obsessed with them! I cut the rectangle and ovals from the Lawn Fawn Stitched collections. 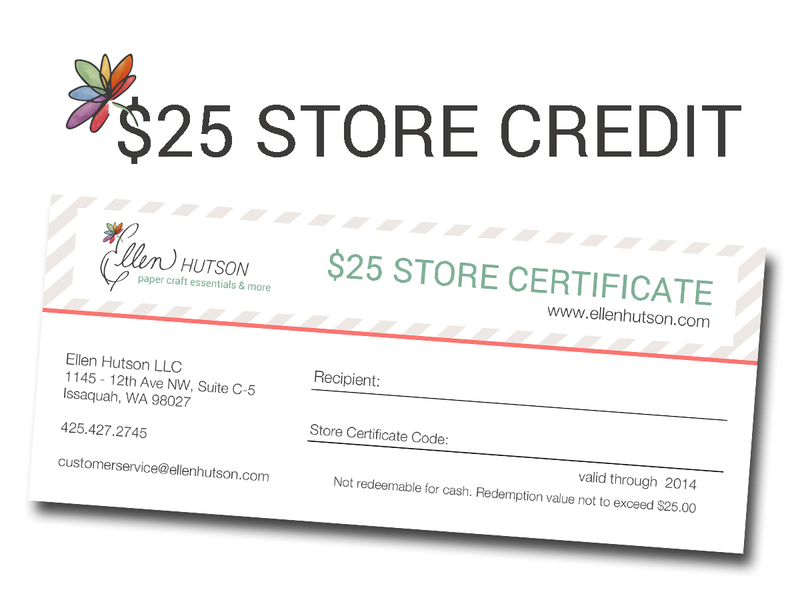 Die cut the Congrats three times, black, lavender and white then glued slightly offset. I blended SSS Maliblue in the background I then stamped the "ewe" sentiment and glued everything together - background plaid from MFT. Super sweet card!! Love it! !